WASHINGTON — The U.S. Supreme Court has granted a Virginia school district’s request for an emergency injunction to temporarily halt a lower court ruling that would have required officials to allow a female student who identifies as male to use the boys’ restroom. The court voted 5-3 to grant the injunction while the matter is being considered for an appeal, with Justices Ruth Bader Ginsburg, Sonia Sotomayor and Elena Kagan siding with the student. 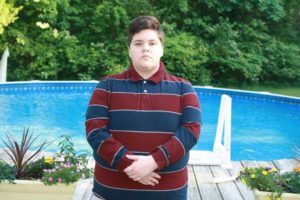 As previously reported, Gavin Grimm, now 17, told reporters in December 2014 that she began using the boys’ restroom after obtaining permission from the school principal when she expressed disapproval over being forced to use the nurse restroom. On Wednesday, the court granted the emergency injunction, blocking Grimm from using the boys’ restroom—at least for now as it decides whether or not to accept the board’s appeal. The ACLU says that it is disappointed with the decision.